Pasted below is a current MSN Forum thread highlighting peoples views about the Puppy Miller Jack Sterling. Hopefully he going to jail too please !! truth about him, as have many other good people who are trying to reveal the truth about Jack for the sake of the dogs. but unfortunately while he hides in Thailand these authorities are powerless. I look at the faces of those poor dogs and see thier sadness. It just makes me so angry thay Jack can make so much money from there misery and suffering. 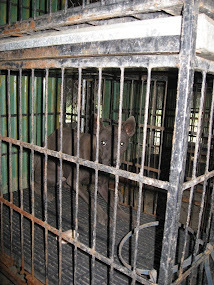 This have to do with the thailand part to remove the dogs rehome and take care of them not sure if there is any rescue animal police in thailand but I been here for 10 years now thailand is really new to me if I am in thailand I would help the dogs..
Has any of you actually spoken to Jack Sterling in real time? I contacted him by email and he asked be to join him in gmail and also in skype. The person you are speaking about does not sound like the same person I spoke to over the phone. I asked him about these same issues and what he says is different to what I see here in this message board. I was shocked and surprised by the emails he had forwarded to me from Donna. Donna, I read your past emails to him as he wanted me to see what you write in private. I could only see a very angry person writing in that way. Beam, I would not believe any of this negative response from any of these people who post such stuff.. There is no proof of all these claims of abuse and all I got was just the opposite from him. We will find out soon enough as we will go to Chiang Mai and visit with him and all his dogs this summer on our vacation to Asia. Who do you think your fooling Jack Beard? Fake. Judy no offense meaning I am Thai and I know if there is nothing real the local authority would not make arrested and the animal welfare law in thailand is VERY weak compare to US's. It does not matter the wind that came from the mouth of mr.Jack smell like. I do not think the people on the boards wasted them time and energy to just typing craps I believe they got better thing to do than that! Everything happened for a reason Judy! If I were you I dont even wasted my time and money go to visit mr.Jack. Maybe go visit Chaing Mai !! 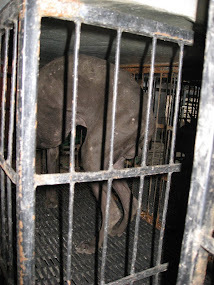 I did not take any side but I saw the dog mother who is really skinny feeding her babies in the rotten cage with my OWN EYES from the pictures. And that depressed me how can a human do such thing to the animal who only know how to love you !! I could read the police record that Donna attached to the message very well. Maybe it is not mr. Jack's signature but there is another 2 witnesses in the paper and the local authority who typing the records thats 3 included !!! + mr. Jack who gave himself in. If I am blind or dumb it is not just me I believe its the local nieghbors of mr. Jack and local Authorities also ! And lady Carmen who living in UK have bad experiences with mr.Jack directly you can go read it in Thai-ridgeback.co.uk I do not think she has reason to lies because of high vets bills she made and all fed up in TRD breed because 1 person !! Mr. Jack !! This is not just a matter of TRD its the matter of the animal well being take it serious punish the one ! !I do not have personal reason to HATE mr. Jack but I do HATE what he did to the animals ! to be honest 90 dogs in that kinda piece of house and land ? I dont think so its enough to take care like 3 dogs max!! Love the animals and care them like you care for your own body !! oh by the way I do wiped my dogs buttocks everytime after they done them toilet like I do it for myself. beam and kids and all animal lovers of the world !!! "Of course I am angry!!!" As everybody should be when dealing with anybody who can care so little about an animal and make them suffer as Jacks dogs are suffering!!! Judy B, If you was a dog would you be happy to stay at Jack Sterlings kennels? Can you seriously tell me you would be happy to buy one of Jacks puppies from the female Gina who is so skinny... yet still trying to feed her puppies? It is these breeders you should support as they take very good care of there dogs!!! and love and show the breed. If you would like to contact me by email I will be happy to give the details to you. have to personally attack Jack or say anything bad about him as the evidance speaks for itself!!! Judy if your seriously thinking of getting a TRD why would you want to support a puppy farm? Do the animals suffering in these pictures mean NOThING.... to you? 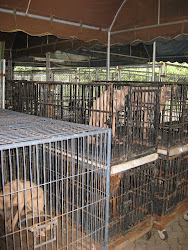 Do these animals look well fed and cared for to you Judy B?